In this article an infectious diseases pharmacist identifies five things to know about fosfomycin, an antibiotic FDA-approved to be given orally for uncomplicated urinary tract infection. Fosfomycin is an antibiotic that was first discovered in the late 1960s, then FDA-approved for use as an agent for lower urinary tract infection (UTI) in 1996. It is bactericidal and acts upon bacteria by inactivating pyruvyl transferase (an enzyme critical for bacterial cell wall synthesis). In the United States fosfomycin tromethamine is available under the brand name Monurol, which is formulated as small white granules made to dissolve in 3 to 4 ounces of cool water, then ingested orally. It is only carries the FDA-labeled indication for acute uncomplicated cystitis, which by definition excludes men with UTI. Many health professionals in the United States are aware that fosfomycin exists, but not many prescribe it on a regular basis and it is not a drug that you will find discussed in important publications like the National Trends In Prescription Drug Expenditures and Projections for 2018 . In 2016 Dr. Falagas and colleagues published a review article in Clinical Microbiology Reviews on the topic of fosfomycin . It is one of my favorite comprehensive articles on the topic and a great resource for learning in-depth facts about this drug. However (and understandably), most people are not likely to take the time to read this 27-page review. 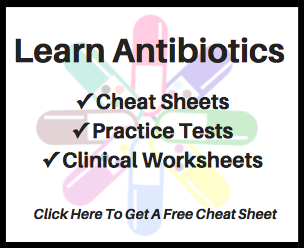 Combining snippets from their work along with my own general interest on the topic, I developed the following to help identify some of the core information clinicians should know about fosfomycin. NOTE: There are additional clinically relevant things to know about fosfomycin not listed here and this is not a comprehensive review of the literature. Readers are referred to the articles referenced below for additional reading and insights on the topic. This is one of the most exciting things about fosfomycin. Unlike drugs that help to manage chronic conditions, antibiotics can actually cure medical ailments. Being able to eradicate an infection with just a single dose of a medication is kind of amazing. According to the Infectious Diseases Society of America & European Society for Micorbiology 2010 guideline update for the treatment of uncomplicated cystitis and pyelonephritis, a single 3gm dose of oral fosfomycin can treat a woman with acute uncomplicated cystitis . There has been data to say fosfomycin may be less effective than some other alternative agents. In a 2018 randomized clinical trial of oral nitrofurantoin for 5 days versus oral fosfomycin single dose for uncomplicated UTI in women, clinical resolution was more common in the nitrofurantoin arm (70%) as compared to the fosfomycin arm (58%) with a statistically significant p-value of 0.004 (confidence interval 4%-21%) . Clinicians should take note that the single dose of fosfomycin can be an option, but it may not always be the best option for clinical resolution with uncomplicated UTI. There are many antibiotics in other countries that are not available in the United States. For example there is ceftriaxone-sulbactam, meropenem-sulbactam, ceftazidime-tazobactam, and tiecoplanin. Fosfomycin for injection is another product on this list. That’s not to say that fosfomycin for injection is not sometimes used in the United States. Under extreme circumstances where limited to no other options exist domestically, clinicians have obtained fosfomycin for injection through expanded-access protocols. Some of my colleagues and I published an experience obtaining it from the United Kingdom in the August 2016 issue of the American Journal of Health-System Pharmacy, if you are interested in learning more about that process . Fosfomycin for injection is especially notworthy for its ability to be used against infections beyond the urinary tract. There is a company named Zavante that is attempting to bring fosfomycin for injection to the market in the United States under the brand name Contepo. It is hard to predict with certainty, but I am hopeful the product will be on the market prior to the end of 2019. You can learn more about Contepo here. Inhaled fosfomycin also exists and has been studied, however data on this formulation remain limited . That stated, fosfomycin will not work for Bacteroides fragilis and intrinsic resistance exists for some Pseudmonas species,Acinetobacter species, Stenotrophomonas species, and coagulase-negative Staphylococci. Despite the gaps in its coverage, fosfomycin can be an appealing therapy for patients with limited options due to drug resistance, allergies, drug-drug interactions, or other complicating factors. Its availability in an oral formulation may even help patients avoid broad-spectrum intravenous antibiotics like ertapenem. Of note many microbiology laboratories do not routinely test for fosfomycin sensitivities, so clinicians should use their best judgment when prescribing fosfomycin in the absence of proven susceptibility. Remember reading oral fosfomycin is only for uncomplicated UTI just a minute ago? Well that is not the whole story, that is just the only FDA-approved indication it holds. Oral fosfomycin has also been used successfully for treating lower UTIs in men, for treating prostatitis, and as a prophylactic agent to prevent UTI. Data for these indications is limited, but under some circumstances fosfomycin may possibly be a reasonable therapy for any of these indications. Fosfomycin for injection on the other hand has been used to treat a range of infections, including pneumonia, meningitis, skin and soft tissue infection, Helicobacter pylori infection, bloodstream infection, endocarditis, and intra-abdominal abscess. It should be noted that many times in these efforts fosfomycin was used in combination with other agents. The average wholesale price for oral fosfomycin is about $100 for one dose. While just one dose may be all that is needed to treat an infection, this may be too much to pay for some patients. While barriers to acquiring therapy are not usually good, perhaps fosfomycin not being a cheap go-to for UTI will help preserve its utility long-term. Either way, clinicians should consider potential economic barriers when prescribing fosfomycin. 1. Schumock, et al. National trends in prescription drug expenditures and projections for 2018. 2018; 75: e353-373. 2. Falagas ME, et al. Fosfomycin. Clinical Microbiology Reviews. 2016; 29(2): 321-347. 3. Gupta K, et al. International clinical practice guidelines for the treatment of acute uncomplicated cystitis and pyelonephritis in women: a 2010 update by the Infectious Diseases Society of America and the European Society for Microbiology and Infectious Diseases. Clinical Infectious Diseases. 2011; 52(5): e103-e120. 4. Huttner A, et al. Effect of 5-day nitrofurantoin vs. single-dose fosfomycin on clinical resolution of uncomplicated lower urinary tract infection in women. A randomized clinical trial. Journal of the American Medical Association. 2018; 319(17): 1781-1789. 5. Frederick CM, et al. Obtaining i.v. fosfomycin through an expanded-access protocol. American Journal of Health-System Pharmacy. 2016; 73(16): 1250-1253.